Yours truly, at the Cat Proving Ground in Tucson, Ariz. I did not get to keep the safety vest. Solar technology is definitely not the niche energy category it used to be and there’s perhaps no surer sign of its current and future value than the leader in the power generation marketplace folding PV into its product offering, with plans to take it global — and fast. That leader is Caterpillar Inc. 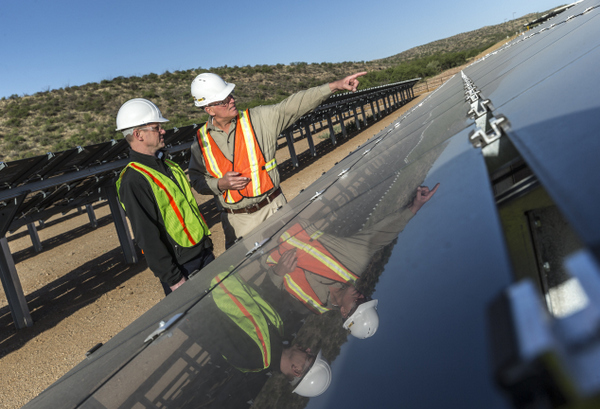 The company invited your favorite Solar Builder editor out to its Tucson, Ariz., Proving Ground to get a first-hand look at the debut of this innovative, turnkey suite of power systems called the Cat Microgrid. This system provides PV panels, state-of-the-art energy storage and advanced monitoring and control systems in addition to Caterpillar’s traditional line of reliable power generation equipment, including Cat generator sets, switchgear, uninterruptible power supplies and automatic transfer switches. So, why PV, why now? The Cat leadership team just pointed to a chart showing the LCOE of solar + storage for a C&I application compared to generator only (could be a 10 to 80 percent savings). The fuel savings are too immense to ignore, and this trend is unlikely to reverse. Plus, Cat has the advantage of having world-class generator sets as part of a holistic solution to meet any customer’s needs and fit the true sweet spot in LCOE for any project. The Cat Microgrid includes both fixed-tilt and tracker options. • the Cat Microgrid Master Controller to monitor and optimize power usage in the microgrid. 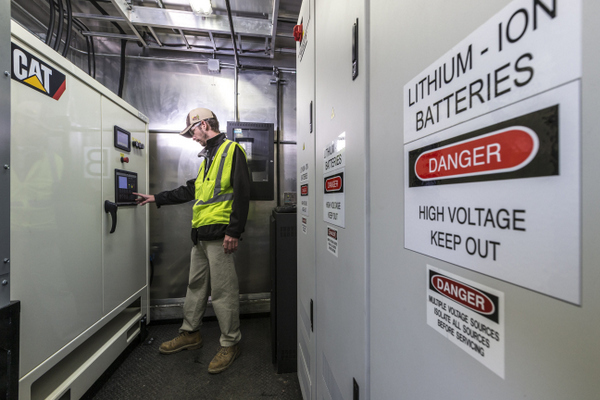 Cat Microgrids use a combination of lithium ion and zinc-air for energy storage. 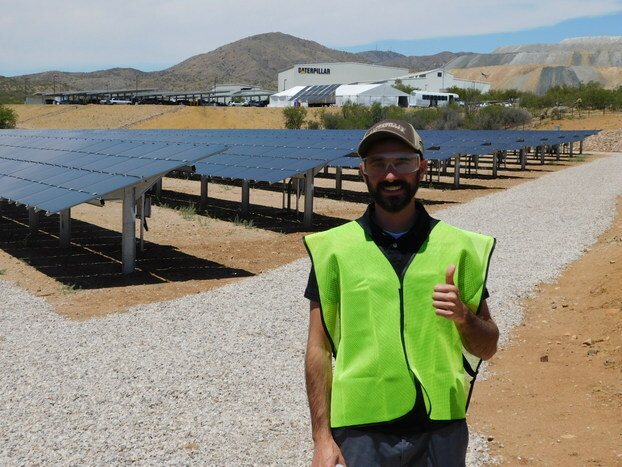 On the PV front, Cat is working with First Solar to provide its PV panels and system as a Cat-branded product through the Cat dealer network for this microgrid solution, which is a big win for both companies. 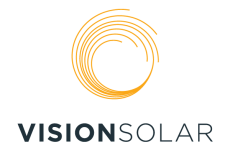 First Solar is already huge, but it’s solely focused on utility-scale projects. 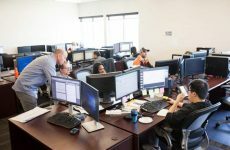 Cat is looking to own the commercial & industrial space with this system, so this broadens First Solar’s horizons by being able to leverage the expansive Cat dealer network. And that’s the biggest story to me – the dealer network. Cat has 177 dealers worldwide, all of which now have the capability to promote, sell and service a turnkey solar + storage microgrid solution. That reach, backed by Cat’s name brand (and corporate structure, financing, warranties, etc. 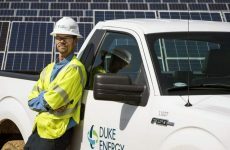 ), has the potential to quickly and efficiently move PV in a way that wasn’t possible previously (especially considering some of the financial hurdles for solar+storage in the C&I space). Cat Microgrid technologies can be purchased as turnkey installations or design-to-order solutions. Ranging from 10 kW to 100 MW, units can be added in a modular fashion to create systems customized for a variety of power needs. Ideal for a broad range of applications such as telecommunications towers, industrial facilities, mining installations and remote villages, islands and rural communities, the Cat Microgrid technology suite is designed to reduce fuel expenses, lower utility bills, decrease emissions, and reduce the total cost of ownership while increasing energy efficiency in even the most challenging environments. Cat developed its own bi-directional inverter, leveraging electrical drive technology from its tractors, to run the system. The string inverters used out in the field (at least that we saw) are from SMA. 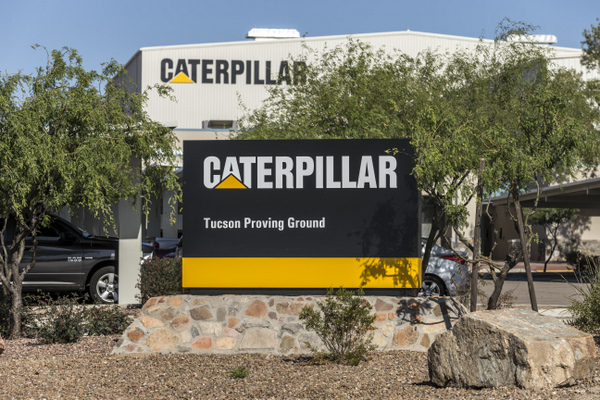 Caterpillar has proven the real-world value of its microgrid technology by commissioning a system at the company’s Tucson Proving Ground. In March, facility managers installed 500 kW of photovoltaic solar power along with 500 kW of short-term energy storage in the form of batteries and ultracapacitors to supplement power that previously had been supplied solely by three C15 410-kW diesel generator sets. The integrated system is expected to reduce fuel consumption by approximately 33 percent.